Home Inspection Flyers: What Are Flyers? 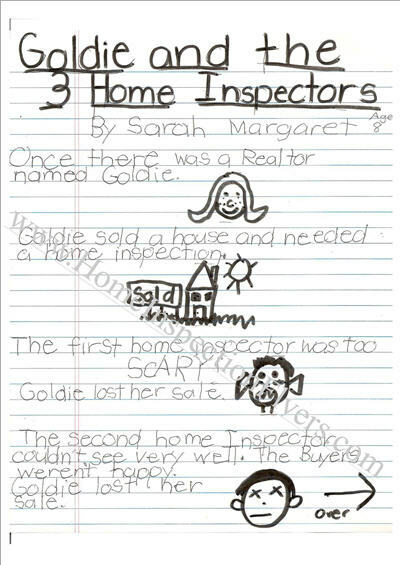 My flyers are direct response copy written specifically for the home inspection industry. A lot of companies have marketing that stinks. What you see big companies doing isn’t necessarily right for you. Peers and competitors are blind leading the blind. These flyers will get you results – I PROMISE! Once purchased, the flyers can be downloaded in Microsoft Publisher. This is your “Swipe File”. All you have to do is switch your company’s name and logo, and add in your own testimonials. Hopefully, you have been collecting testimonials. If you have trouble getting testimonials from the agents and buyers, we can send you a survey to e-mail out that gets great results for us. Once it’s in PDF you can e-mail them to be copied. Call around to check prices. We found a place that will do them for us for 5 cents a piece, but that is for black and white. A better option is to send them off in bulk and get color copies. The cheapest we found is http://www.355copy.com/ccopies.asp . It is the same as black and white copies for us, but you get the full benefit of color. Since I use highlights, underlines and multiple fonts, color copies will definitely make your flyers stand out even more! I guarantee you will get results with these flyers or we will give you your money back! 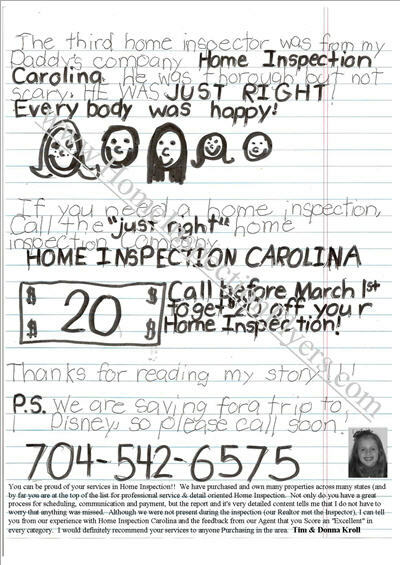 Copyright © 2009 - 2015 Home Inspection Flyers. All Rights Reserved.